Shakti Dance Society offers private, semi-private, small group and children's instruction in Bharata Natyam at both professional and recreational levels. Classes are taught by Anusha Fernando. For information about any of the following classes or workshops, please contact Anusha. Sacred Dance-Bharata Natyam Monthly Progressive (A Series of 6 Workshops): Learn this highly evolved spiritual practice through movement wisth the expressive language of devotion and rhythm. with Anusha Fernando. Once a month, come for an hour and a half and dance Bharata Natyam, the Indian Classical dance that is one of the most ancient forms of sacred dance, a highly evolved spiritual practice. For more information about the workshops, click here. Intermediate Technique Class: Please join us for an Intermediate Technique class focusing on Adavus, led by Anusha Fernando and held at the Douglas Park Community Centre. Students must have knowledge of the foundational physical vocabulary of Bharata Natyam. Students from all Bharata Natyam schools are welcome! Registration is through the community centre, but if you have questions about the class content, please contact Anusha directly. Irene began her love of dance at age seven with ballet classes in her home town of Fredericton. She started training in Bharata Natyam at age 10 after seeing a student show led by her first teacher Sudha Chandra Sekhar. In 1991, Irene moved to Vancouver to pursue graduate school in medical physics at UBC where she earned a PhD in 1998. In 1996, she started training with Ranee Singh, a graduate of Kalakshetra. In 1999, with the birth of her first son, followed by the birth of her second son in 2003, she took a hiatus from Indian Dance. She resumed in 2006, beginning private classes with Anusha Fernando and also attended two summer workshops with Jayalakshmi Eshwar. Irene is also a qualified Scottish Country dance teacher. Alicia's interest in dance started at an early age, taking classes with Maria Lewis at the Pacific Ballet Theatre School in Vancouver. 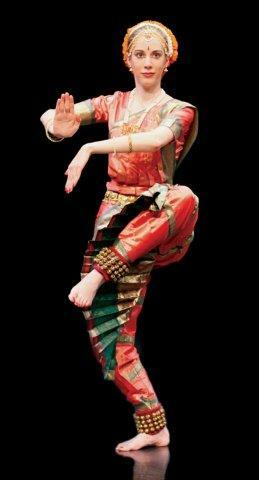 She began her study of Bharata Natyam in 2002 after seeing Anusha Fernando perform in Tales from the Ramayana. She took group classes at the Scotiabank Dance Centre with Jai Govinda and Anusha Fernando before beginning private study with Anusha at Shakti Dance Society, where she has also trained with Srimati Jayalakshmi Eshwar. In January 2010, Shakti Dance Society presented Alicia's graduating Arangetram performance at the Michael J Fox Theatre in Burnaby. Alicia has a Master of Library Information Science degree and is a children's librarian. Vandna has trained with several esteemed teachers over the past twenty-one years, including Anusha Fernando, Srimati Jayalakshmi Eshwar, and Jai Govinda of Mandala Arts and Culture. Since 1997, she trained with Anusha Fernando, and in May 2005, completed her Arangetram. In 2005, aided by the B.C. Arts Council, Vandna traveled to study dance in New Delhi with Srimati Jayalakshmi Eshwar and in 2007, she received the prestigious Shastri Indo-Canadian Institute Arts Fellowship, which took her back to New Delhi for more intensive training. As a professional performer and instructor, she continues to study and train in the tradition and is interested in exploring traditional Bharata Natyam repertoire within a contemporary framework. Vandna has a B.A. in Communications and Publishing from Simon Fraser University. Sheri studied Bharata Natyam with Anusha Fernando for several years. She has also received training from Jayalakshmi Eshwar of New Delhi, and Jai Govinda. Prior to studying Bharata Natyam, Sheri both trained in and taught jazz, hip-hop and ballet. Sheri's interest in Bharata Natyam developed as a result of her travels to India in 1995, her studies of Indian culture at UBC, as well as her deep passion for liturgical/spiritual dance. Sheri has performed in "Nadopasana" at the Playhouse (2004); and "Body of Dance" at the Gibson's Playhouse and The Roundhouse (2005). She also performed in benefit shows, including a 2005 benefit for the Tsunami victims of South Asia. 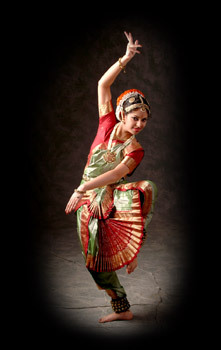 In November 2005, Shakti Dance Society presented Sheri's graduating Arangetram performance at The Roundhouse. She is currently interested in cross-cultural explorations of Bharata Natyam in Christian theology. Sheri has an M.A. in Counselling Psychology and works in private practice.